In the revenue structure of our publishing house, the revenues received from the readership market have a defining role. Our distribution department ensures with outstanding professional affinity, that our magazines are always available, whether in the form of sale through street kiosks, or in the form of subscription. Our current subscription offers can also be found at the website elofizetesem.hu this is where anyone can subscribe quickly and easily with a few clicks, even from their mobile, and payment can be made by bank transfer or credit card. Our publishing house has a delivery and money-back guarantee on all our publications. I have been working in distribution for over 20 years and have spent now 18 years out of these twenty years at Marquard Media. I’m proud that during this time we have brought many successful publicatios to life. The job of the distribution department is to provide accessibility to the magazine wherever there is a demand for it. It is a great challenge and an exciting task to track the market, the trends, the changes in consumer behaviour, and the tendencies which also show the way in magazine distribution. I believe that the with crafty means we can turn the spread of online for the benefit of the print. 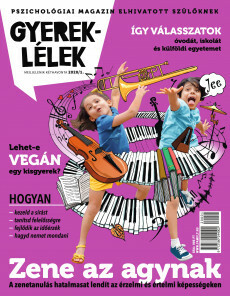 Our publications can be ordered to be sent abroad or can be ordered from abroad too through HELÍR by phone 0680444444 or at hirlapelofizetes@posta.hu.